As Ronald Reagan famously uttered with a shake of his head, “there you go again…”. I’ve noticed that more and more airports are starting to charge landing fees for non-commercial aircraft. Hilton Head Airport was in the news today as the latest to announce a levy for private aircraft landing at a small general aviation field. The article notes this as the first airport in South Carolina to charge such a fee, but you can bet it won’t be the last. During the same meeting, officials learned the state’s top aviation official objected to a related proposal that would charge private pilots to fly to the airport. Money collected under the proposal would also be used to pay for future construction, including runway lengthening. The fee is expected to generate more than $100,000 a year. Paul Werts, executive director of the state’s aeronautic commission, sent an email July 15 to Andres stating the fee could also be seen as discriminatory, which could jeopardize state and federal grant money for airport improvements. 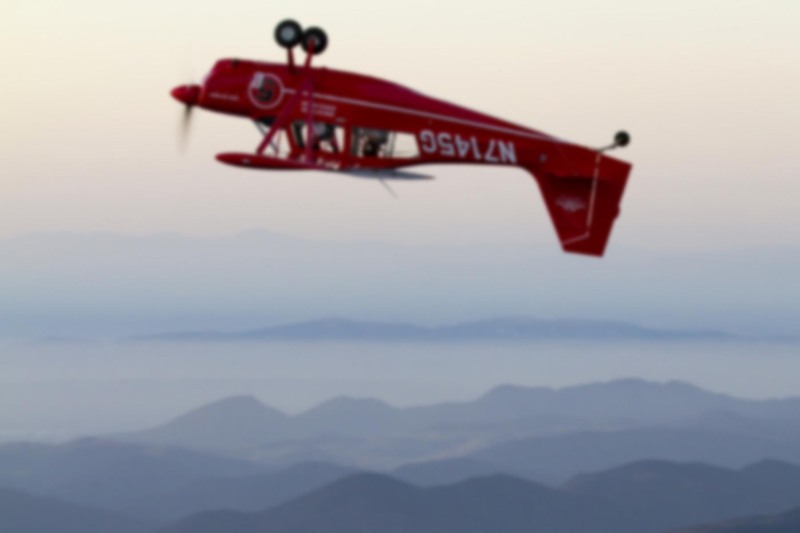 “The South Carolina Aeronautics Commission is chartered to promote aviation and air commerce,” Werts wrote. “Landing fees (are) a practice that will discourage users and have a direct impact on operations” and hurt the island economy. Hilton Head would be the first airport in the state to charge such a fee, a minimum of $10 or up to $1.65 per 1,000 pounds, whichever is greater, to private aircraft. Currently, the airport charges commercial flights a landing fee of $1.31 per 1,000 pounds. Private aircraft based at the airport that pay fees for permanent tie-downs or that rent a county hangar would be exempt since they already contribute to the airport’s operations, board members said. The fee would apply to aircraft based elsewhere that fly in and out and do not pay the long-term fees. Some members warned that air traffic at Hilton Head has declined because of the struggling economy and Delta Air Lines’ departure last fall. Imposing a landing fee could cause numbers to fall even more, they said. Neither fee would apply to the Beaufort County Airport on Lady’s Island, where there is no commercial service and general aviation traffic is much lighter. The landing fee doesn’t require FAA approval. The board will vote on the landing fee Oct. 20 for recommendation to County Council. Some airport board members argue not imposing the landing fee would be short-sighted. “We are in the black, but we’re not in the black because we have liabilities. And (we) are embarking on projects requiring the county to come up with substantial sums,” said board member and Hilton Head resident Will Dopp. Airport revenues exceeded operating costs by about $170,000 for the fiscal year ending June 30, according to unaudited numbers. The airport, though, owes the county general fund about $1.5 million on a loan for prior construction projects. “A $10 fee won’t drive someone away,” Dopp said. In the past, this sort of levy was virtually unheard of in the United States. Over the years, such fees became common at the largest international airports (LAX, San Francisco International, etc). Then some “specialty” airports such as Catalina Island, which is owned by a non-profit conservancy, began charging landing fees. Catalina is a public-use field, but the airport is privately-owned. Landing fees then progressed to popular publicly-owned airports like Santa Monica, Jackson Hole, and Aspen. With the economy hurting and governments deep in hock, I anticipate landing fees popping up more and more as municipalities demand that the local airport turn a profit to help the general fund. I can’t help but wonder why we aren’t doing the same thing with our roads. How about a per-mile tax applied every time you get in your car? The inverse relationship between aviation’s cost and its vibrancy are well documented. Once a critical mass of landing fee airports is reached, that’s it. The fee becomes de rigueur, and we become Europe or Asia, where landing fees are high and omnipresent, and aviation activity is extremely low. In fact, it seems the airport authority is hip to that fact, because they’ve estimated the landing fee will only bring in $100,000 per year. At $10 a pop, that’s 10,000 aircraft per year, or 27 landings per day. As a vacation spot with only 80-some aircraft based at the field, it seems they are anticipating a big drop in transient traffic. That should be great for the local economy, wouldn’t you say? 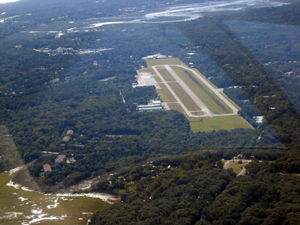 According to the FAA, in 2007 Hilton Head averaged 159 operations (takeoffs or landings) per day. As of July, 2010, that number was down to 109 per day. Traffic has dropped by a third in just three years. Will a $10 landing fee for a small private aircraft put a further dent in those numbers? Who knows. But I think it’s safe to say once the fee is established, it’s unlikely to stay at $10 for long. If you can hit those “rich guys” for ten bucks, why not $20 or $30? Just think of all the stuff they could pay for! Mr. Werts was correct when he stated the fee was discriminatory. Did you notice that the charge for a non-commercial aircraft ($1.65/1000 lbs) is higher that levied on a for-profit business ($1.31/1000 lbs)? The flat rate for an average GA single-engine aircraft is well over $3.00 per 1000 lbs, more than twice the rate charged for an airliner. The bottom line is that this is just another user fee, no different that the ones being proposed for flying in controlled airspace, receiving a weather briefing, flying an instrument approach, or filing a flight plan. Talk about killing the goose! Non-commercial pilots already pay for aviation infrastructure via fuel taxes, possessory tax on hangars, property tax on aircraft, and fees for parking, overnight stays, ramp usage, tiedowns, service charges, security, and more. If it wasn’t for all that, perhaps the concept of a landing fee wouldn’t be nearly so objectionable.